Sometimes all a home office space needs is a simple writing desk to make it look great. 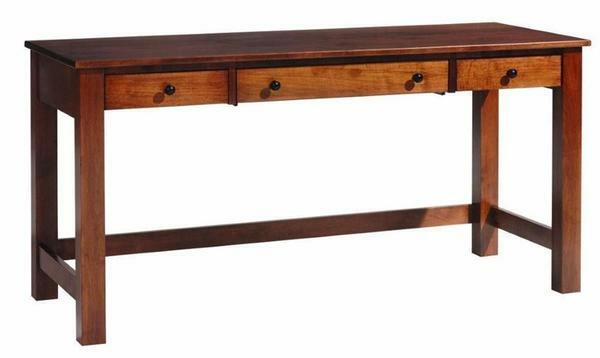 Our Rivertowne 60" Writing Desk is exactly what you need to pull everything together in your office. The simple straight lines of this desk will go with just about any style that you already have. This is one of the larger writing desks that we carry so not only will it look good in the room it will also be a nice place to sit down and get your work done. The three storage drawers provide space to keep some desk supplies close at hand. Our Furniture Specialists are always ready to answer any questions you might have on this desk or any of our others. This desk is shown in Brown Maple Wood with an Acres Stain.